The Japan Information Center at the Consulate General of Japan in New York will host a two-week exhibition of a series of historical photographs depicting the relationship between Helen Keller and Hachiko, the Japanese Akita dog famed for his loyalty. 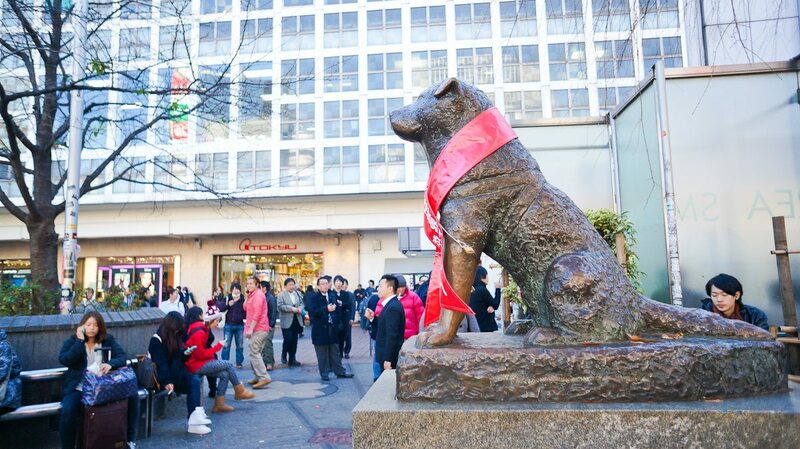 Hachiko waited at Shibuya Station in Tokyo for his deceased master, Professor Ueno, every day for nearly ten years. He became famous not only in Japan but also abroad. Helen Keller was deeply impressed by Hachiko, and the people of Akita gave her an Akita puppy when she visited Japan in 1937. In this exhibition Yumi McDonald, author of When the Dog Hachiko was Waiting at Shibuya Station and Reminiscence of Shibuya, presents the unknown stories of Hachiko, including more than twenty historical pictures and letters assembled for the first time. Highlighting Hachiko’s connection to Helen Keller, the centerpiece of the photo exhibit is a moving image of Keller touching a statue of the famous Akita. McDonald’s mother grew up in Shibuya and regularly saw Hachiko waiting at the station, and her grandfather’s photos of life in Tokyo during the 1930s will also be on display. The story of Helen Keller and Hachiko is a message of love and friendship that spans time and national borders and will continue to deepen the friendship between the United States and Japan. The Japan Information Center is open weekdays from 9:30 a.m. until 4:00 p.m. For more information, please visit the Consulate’s website.